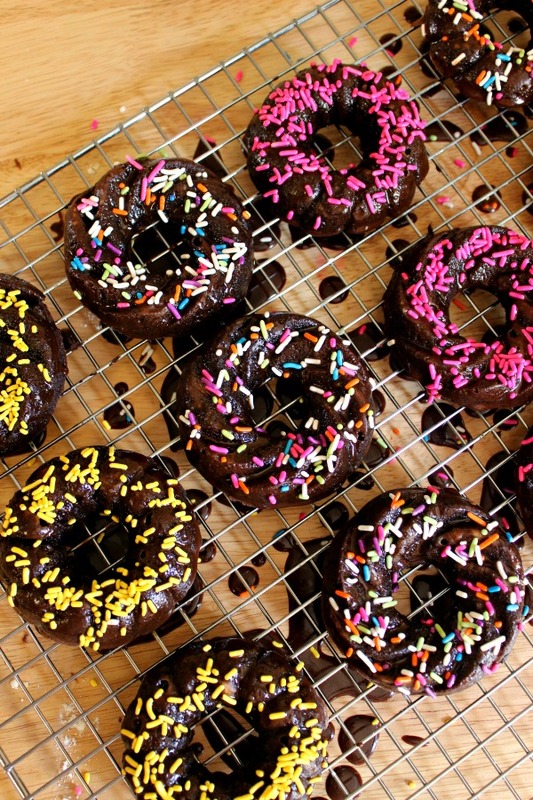 Donuts, it comes in different shapes, flavor and color. I equally love them all and unfortunately they are very high in sugar. However, if you have been follwing me or reading my blog over at A Bountiful Love, I always advocate moderation. 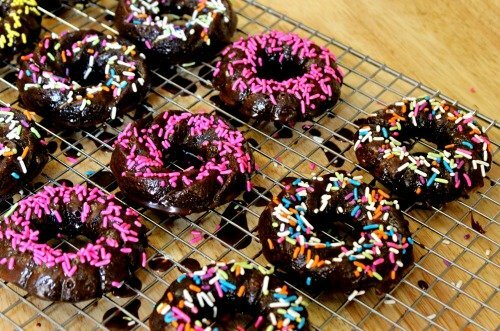 I also love homemade donuts beacuse I can always tweak the recipe to my liking and accordingly to my kid’s palate. 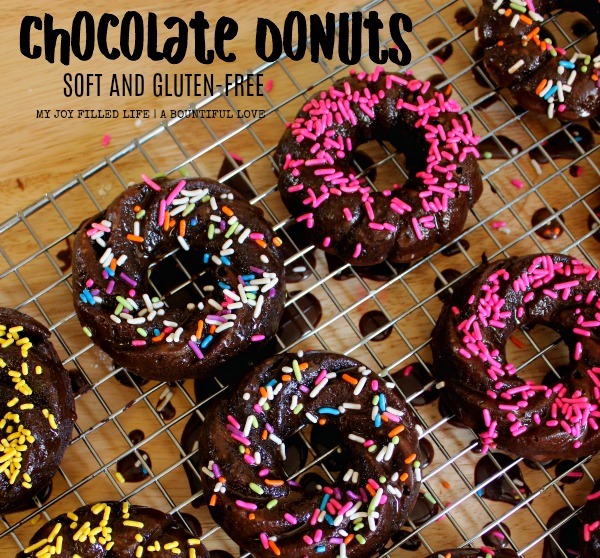 I used rice and tapioca flour in this homemade donuts but you can also use already prepared gluten-free baking mix such as Bob’s Red Mill Baking Mix . Preheat oven to 350°F. 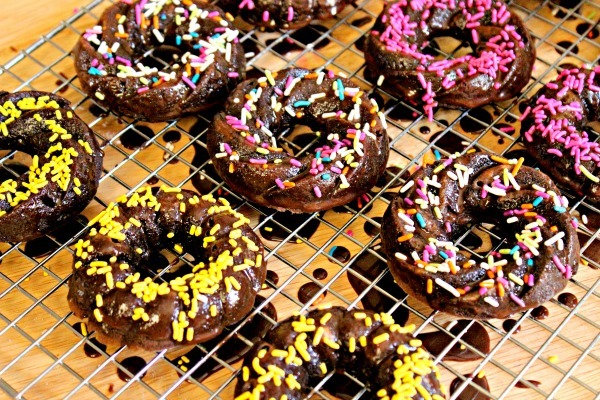 Spray the doughnut baking pan with non-stick cooking spray and lightly dust with gluten-free flour mixture. Set aside. Place all dry ingredients in a mixing bowl and whisk till combined. Add in egg, milk, vanilla and coconut oil. Whisk until smooth. 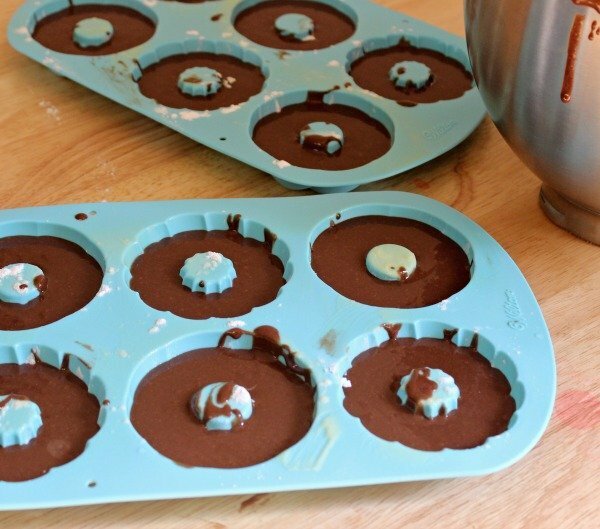 Pour and fill each donut cup in the donut pan only 1/2 full with the batter. Bake for 12-15 minutes or until a toothpick comes out clean. Make the glaze: Whisk all the ingredients until smooth. If you need it to be thicker , just add powdered sugar (by tbsp). Dip the top of each donut in the glaze. 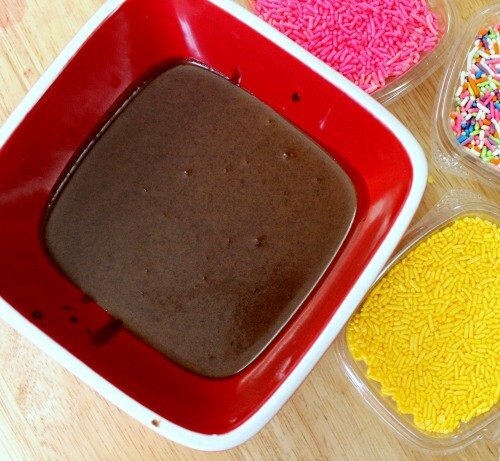 Optional ofcourse , decorate with beautiful and colorful sprinkles. Have fun with the sprinkles! Our girls enjoyed choosing the colors. You can also use chocolate shavings, mini chocolate chips ,chopped nuts or drizzle it with melted white chocolate. Serve it warm or at room temperature. Serve with a glass of milk (or almond milk if you are on dairy free diet) for kids and coffee for parents! Absolutely amazing donuts. I do not know what was I thinking, I did not use a sheet pan with the dipping and srizzling process. That mouthwatering chocolate glaze was drizzling all over our dining table. The clean up was not fun so heed my warning to NOT forget to use a cookie sheet pan underneath your cooling rack. Much better, use a wax paper or parchment paper for easy clean-up. 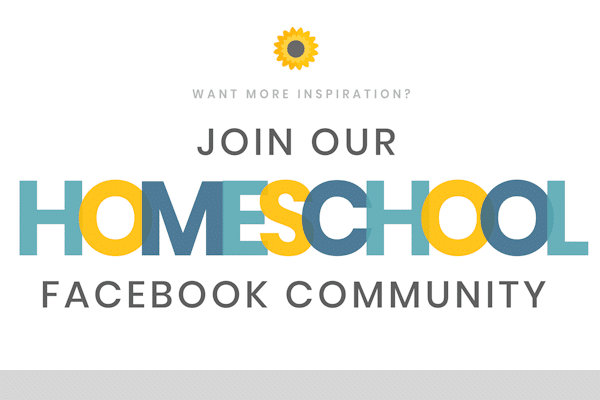 Do not forget to pin and share or save the recipe for later! Cristina is a graduate of BS Psychology turned stay at home mommy of two beautiful and active girls. She's been happily married for 7 years, married to a God-fearing and Jesus-loving man. 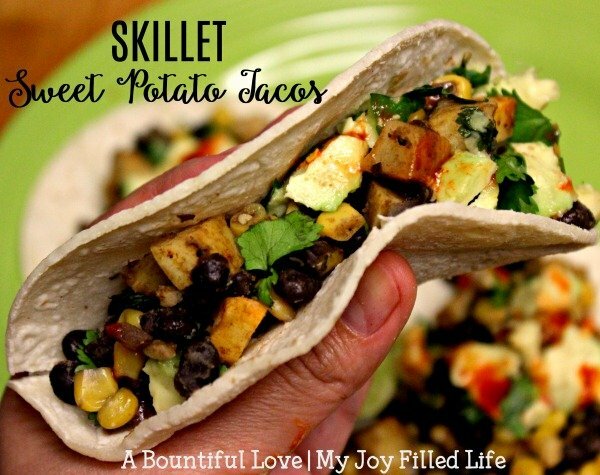 She loves sharing healthy and budget friendly meals - meals that will fit every budget.